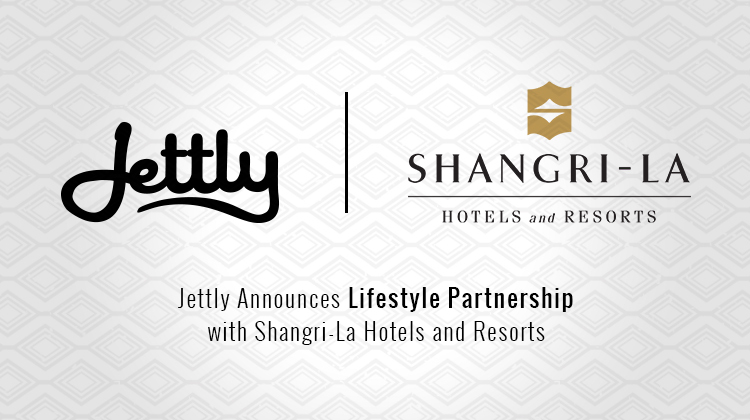 (Ontario, Canada) – A prominent leader in private air charter services Jettly adds Shangri-La Hotels and Resorts as a new lifestyle partner to provide Jettly members with a complete luxury travel experience. With this new lifestyle partnership, Jettly members enjoy preferential room rates at any properties of Shangri-La, Kerry, Hotel Jen and Traders hotels worldwide. To access preferred rates for Jettly members, make your reservations on the Shangri-La website or mobile application. Under the Select Code Type box in the corporate or special rates section, select “Promotion” and enter the exclusive Jettly Promotion Code: CP_BTP_JETTLY4495-17. A valid Jettly membership is required at check-in. Jettly, the world’s fastest-growing private jet and lifestyle community, makes private air travel faster, easier and more affordable for its members. With nearly 10,000 private jets and over 1,500 operators in its marketplace, Jettly is revolutionizing the way people fly one booking at a time.